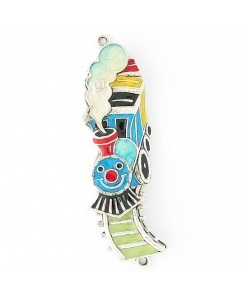 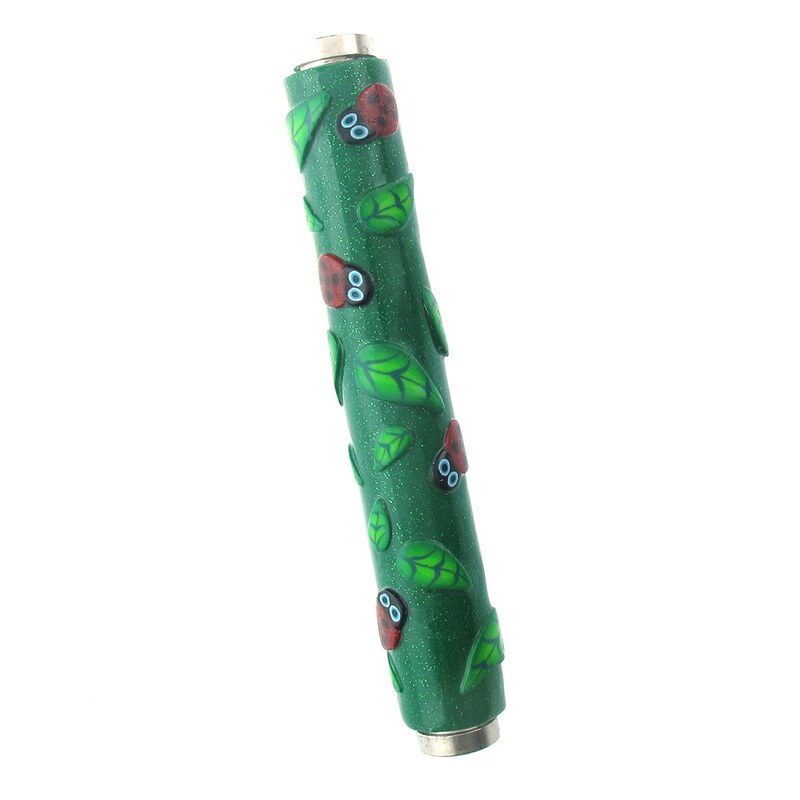 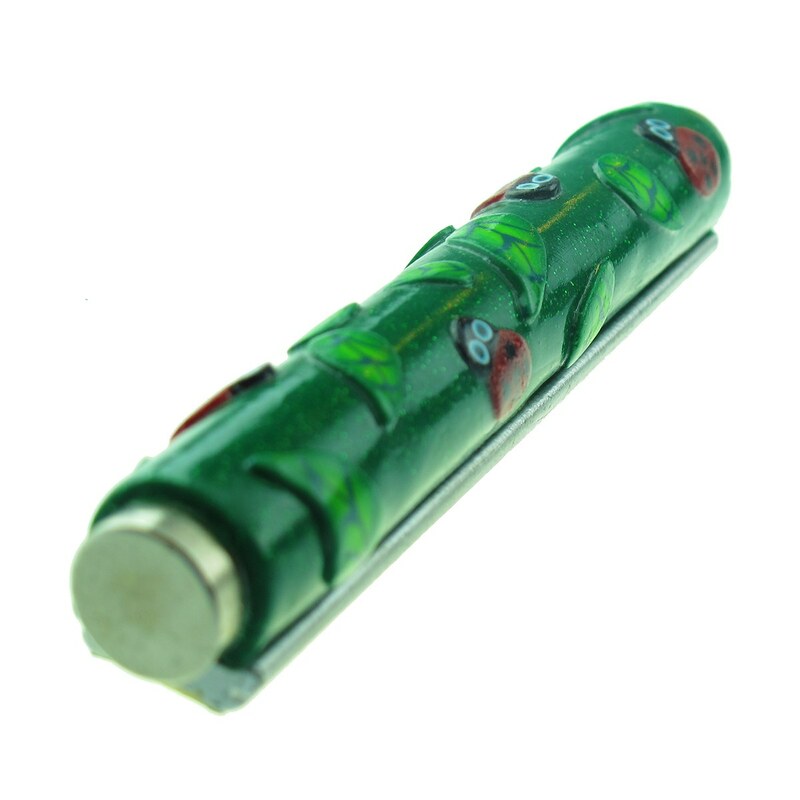 This Green Ladybug Mezuzah Case features cute ladybugs on a glittery green background. 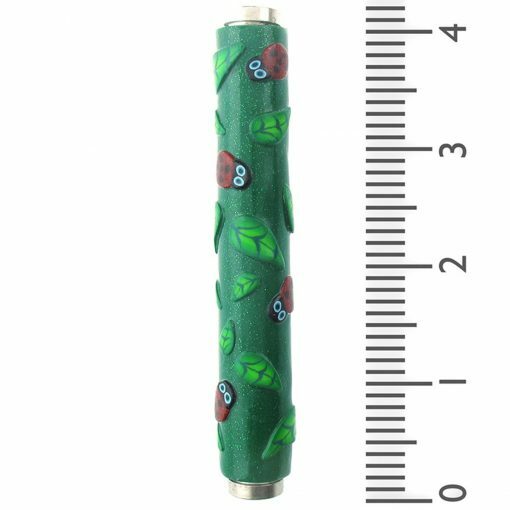 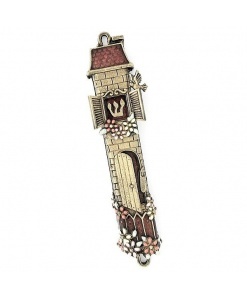 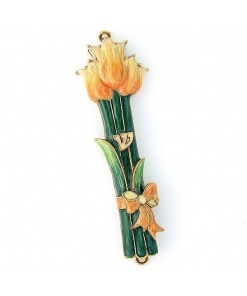 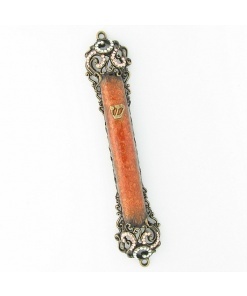 Give this mezuzah case to a nature love or aspiring entomologist. 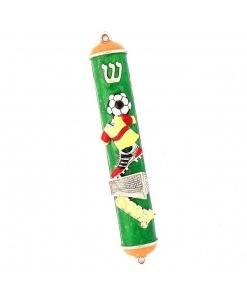 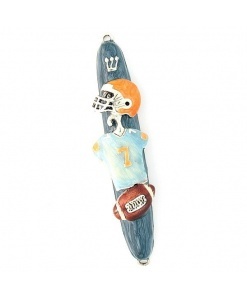 Made in Israel by the famed polymer clay artist Adina Plastelina.